With the holiday season well underway, shopping is foremost on the mind of both Texas residents and visitors. Lucky for them, Texas has a wide variety of unique shopping venues to experience while trying to find the perfect gift. For shoppers looking for a “mall experience,” each of the major cities in Texas offers at least two mall options. Some malls, like the Galleria in Dallas, are home to upscale shops and restaurants. 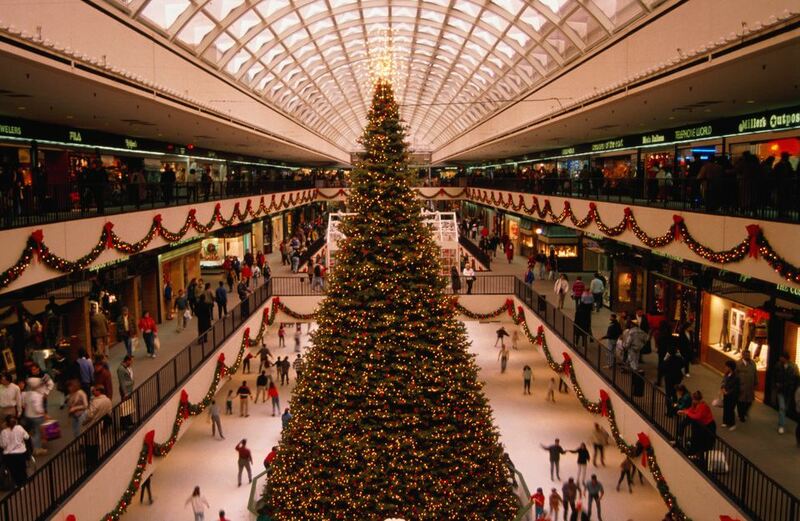 And, when you’re ready for a break from the shopping, both the Dallas Galleria and the Houston Galleria have ice rinks located inside, allowing shoppers to drop their bags and skate—or just relax while watching others make figure-eights on the ice. The Mills malls are also popular among shoppers in the Lone Star State. Grapevine Mills, located a short drive from Dallas, and Katy Mills, just outside of Houston, offer dozens of specialty shops—most of which aren’t included in other malls or strip centers. And, don’t forget one of the most unique malls in Texas, San Antonio’s Rivercenter Mall, which offers a wide array of shops and restaurants, as well as an IMAX theater—all situated on San Antonio’s famous Riverwalk. If malls aren’t big enough to satisfy your shopping needs, try visiting either the Houston or Dallas Trader’s Village locations. Promising “good deals in a state fair atmosphere,” Trader’s Village is a combination of entertainment, dining, and shopping—all in one location. Other large-scale shopping options include outlet centers, such as those in San Marcos and Conroe. Of course, not all of the shopping options in Texas are located in major cities or large malls. Small towns such as Wimberley, Fredericksburg, and Lewisville have unique shops, restaurants, art galleries and more to satisfy your shopping needs. In short, whether your shopping aspirations are big or small, you can find what you’re looking for somewhere in Texas.